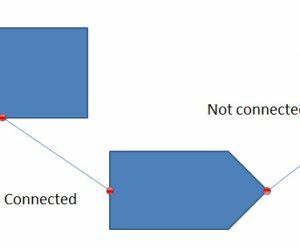 Learn how to connect shapes in PowerPoint using connectors and tools available in the interface. By connecting shapes, the presenter and designer can make attractive slides that are easy to maintain. 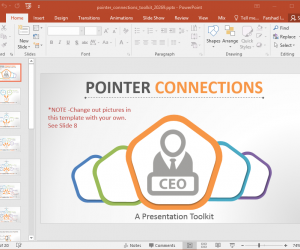 Animated Pointer Connections PowerPoint Template gives layouts with a main command point with arrows branching out. You can use the various layouts for designing your presentation by editing out the customizable objects within each sample slide.